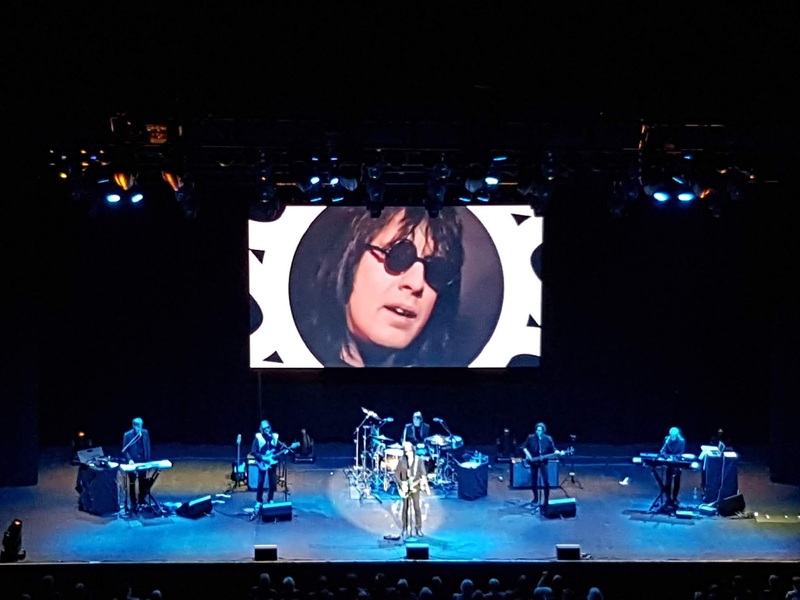 Over the past months Gary and Mark were looking forward to seeing Todd Rundgren play live in London. This is no surprise for those who remember the conversation on Rundgren on these pages. 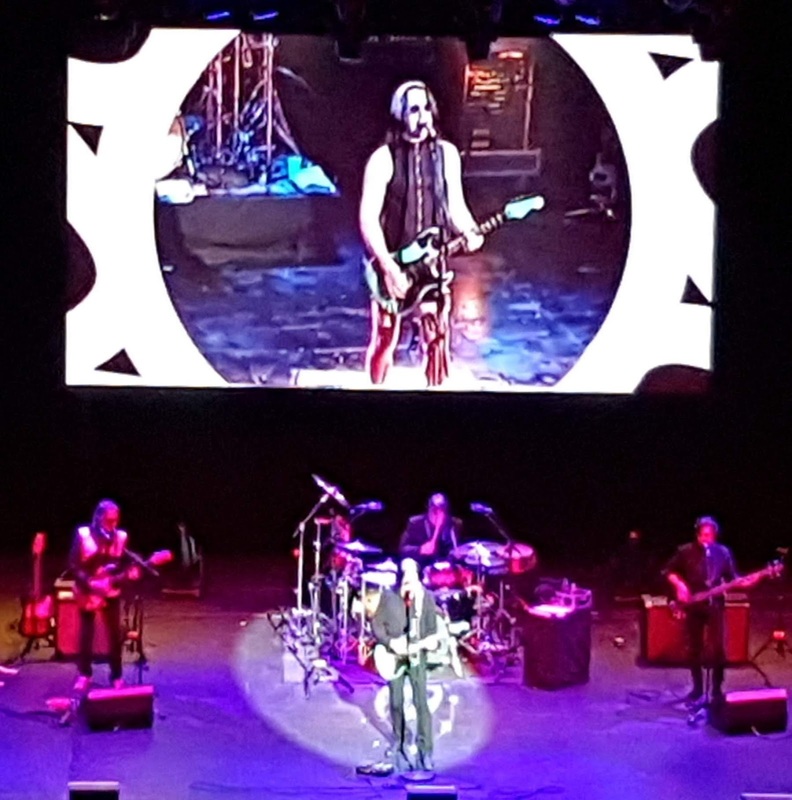 Read on here: http://wonomagazine.blogspot.com/2017/02/a-wizard-true-star-todd-rundgren-meat.html. Here are their views on the show, with a little build up towards it. You may be interested in these dates? Are you getting a ticket for the London concert on April 6th? These concerts sound like an unmissable, intimate "This is me and what I did - but also me signing off" type concert. My suggestion would be he starts with the Last Ride from Todd, switches gear to All the Children Sing, settles down at the piano for a couple of songs off Runt and Ballad, followed by the soul medley off Wizzard, then does his cover of Strawberry Fields, and encores first with Just One Victory and finally - poignantly - Fade Away off Hermit. That would be a magical evening - a testimony to a unique talent, "a true star." So I'm thinking about getting a ticket and if you are as well maybe we could get together for a Toddtastic time.....and (gasp) that will be one week after I will have retired from the civil service - yes! I have finally pressed the exit button. It may be overshadowed somewhat by jingoistic triumphalism, economic collapse and the break up of the Kingdom.... but on the other hand you could say I've timed it quite neatly really. Looking further ahead into the year Russell Laverick (remember him from DTI days?) and I have shelled out for "golden circle" tickets for Dylan and Neil Young in Hyde Park on 12 July. I think at £170 it is the most I've ever paid for a concert ticket but we thought we'd rather be up close to the stage rather than watch peering over 70,000 heads at a dirty great big screen. Dylan and NY are "co-headlining" so the expectation is that they will be onstage together for a finale of staggering, perhaps historic, proportions. Just hope it will not be a Hard Rain during the day. Lots of other acts yet to be announced. The moon, the sun and all the rest". 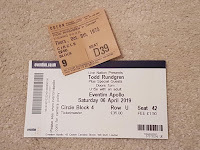 Looking forward to seeing Todd Rundgren with you next week Mark… I have now got the tickets. I will contact you later on the week and make final arrangements and find a suitable pre-gig restaurant. Enjoy Todd Rundgrun and the weekend, gentlemen! I'm looking forward to seeing Todd again on Saturday, Gary, and I'm now listening to the albums I've got which are the song-based albums ending with Hermit of Mink Hollow. I don't have the Utopia extensions into electronic psychedelia which proved to be a dead end in musical direction that cost Todd the musical legacy he truly deserves. In crude terms he could have been America's superior rival to Elton John, able to master a mix of spine-tingling ballads with his soul-drenched vocals, ingenious heavy rock outings, and catchy stadium anthems. I've just played Something/Anything which features a song he is quite famous for: Hello It's Me. However, the best track on this double album from 1972 for me is not a song he wrote but Dust in the Wind which was written by Moogy Klingman who was later a Utopia member. Not to be confused with a more famous song with the same title by Kansas which I don't recall actually, it has a tremendous lyric - a deathbed apology and plea for forgiveness, a spine-tingling soulful melody with a great guitar break by Rick Derringer - and Todd is in superb voice: approaching his peak maybe. Not having heard it for a while I had to play it three times in a row - and I hope he plays it on Saturday as a tribute to Moogy who passed away eight years ago. There are also some great songs also on his previous album The Ballad of Todd Rundgren which I see from a note I wrote on the inner sleeve, Wout, I bought in Rotterdam in November 1977 when I was working on the production line at De Kuyper's distillery in Schiedam. I probably bought it at a small independent shop called Captain Haddock where I regularly blew a lot of my hard-earned guilders! Next up on the turntable is his meisterwerk A Wizard A True Star - I've got so much more time now to play my records! I really liked his work with Utopia which to begin with was really the US’s answer to UK’ prog…. But then became more commercialised due to record company pressure. I would say that TR was never owned by anyone and has always done what he wanted to do… if he didn’t like it he just moved on… he didn’t want to be a hostage to fame or fortune, his music was always the most important thing to him. Yes Dust in the wind is a great track which O play regularly… and yes I also repeat his tracks whilst I wail along to them making sure no one can hear me! AWAT is such a great album…. I saw him play the whole album live at Hammersmith ten years ago… I just realised this!!!! Superb performance! See you on Saturday…. I will book a nearby restaurant… how about for 17:30? Actually I got that wrong the AWAT tour was February 2010… so just over 9 years ago! Thought you may be interested in the Utopia 'Live in Chicago’ reunion live album and video is now being released (12th April). Performed in 2017 some some thirty years since they last played together they reformed for a few months Sadly Roger Powell (keyboards) had to retire due to ill health…. Watching and listening to the tracks they are still amazing! Today there was a review in my newspaper. The reviewer obviously was not a real fan. He wrote it was too loud and too ego-centric from Rundgrun, including a lot ado around a book he has published recently. Enjoy, and looking forward to some words to publish on the blog. has never performed it! Interesting list - Led Zep's Kashmir?! faithfully paid tribute to on Faithful. his seventies now, doing an Eagles reunion tour. The reason for apparent ‘introspection' is that it is a combined biographical/reflective music tour and book promotion event… I would let the man himself show you what he is capable of! A Guardian review by Mark Beaumont on Saturday night! Thanks Gary This review kind of reflects my mixed feelings about the concert: enjoyably autobiographical but just this side of egotistical: he did nothing to connect with his loyal British fans or with the fact of his playing in the UK which I thought was surprising given that he was originally inspired by hearing The Beatles cut through the dross on US radio in the early sixties. The concert could have been anywhere on his tour. "John Lennon ain't no revolutionary. He's a f------- idiot, man. Shouting about revolution and acting like an a__. All he really wants to do is get attention for himself, and if revolution gets him that attention, he'll get attention through revolution. He's an important figure, sure. But so was Richard Nixon. Nixon was just like another generation's John Lennon. Someone who represented all sorts of ideals, but was out for himself underneath it all." A macabre twist is that Mark Chapman was an obsessive Todd fan apparently. My experience of the gig was that it was more than worthwhile going to see, in fact his, and his band, exceeded my expectations in their breadth of musicianship, style and competence. Musically the band was so tight… showing their musicianship and backing vocals to be at master levels. Todd of course played guitar and sang as though he was a mere slip of a lad, especially when you consider he will be 71 in a few months time! 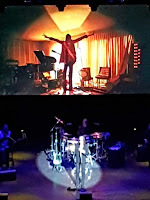 Rundgren's choice of his works was not only historical/biographical but also an attempt to describe what he is inside… I could see certain pieces telling me in an uncompromising way that he was his own man, doing what he wanted to do even at the expense of his fans… selfish? 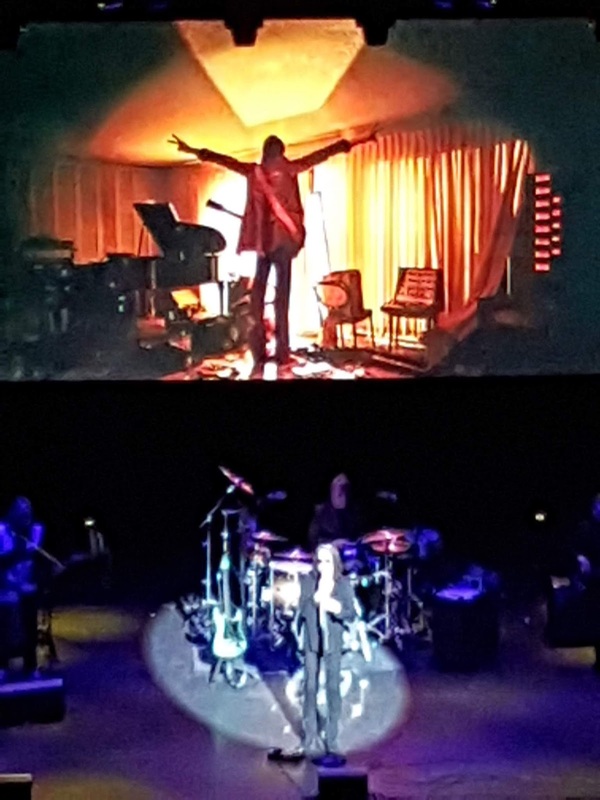 Maybe, but Rundgren is nothing if not uncompromising and if he feels strongly enough about an idea or a position he is true and honest to himself… it seems to me that this is of ultimate importance to to the man himself? To be fair, it would be impossible for him to please everyone even though I was very happy with the experience I personally had at the gig…. Even I disliked a couple of his works such as the rap/jazz/tour name 'The Individualist’…. But to me this was more than outweighed by 90% of the night… I also had to admit to myself that even with this song it was played as near to perfection as could be! 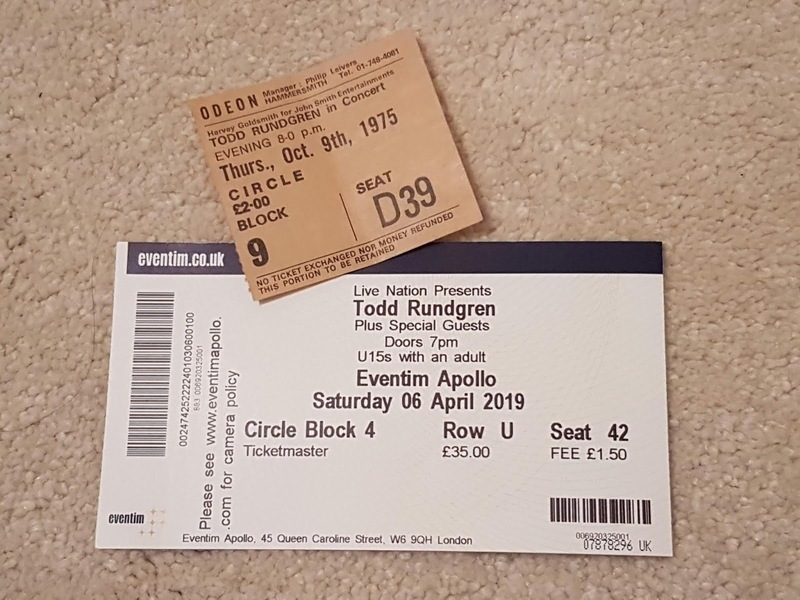 Rundgren has a great sense of humour whilst having pride in what he has produced and also upholding his beliefs and standards…. I can’t criticise him for that no matter if many felt he left so much out? I pray that I will see him play live yet again, I learned a sad lesson when I missed (what turned out to be) the very last time ELP played together ten years ago, so I will buy a ticket when I get the chance next time. I also hope that he will produce a video of this tour to go with his book? Though I would love to see the reformed Utopia live although I may have to make do with the 2017 video reformation? I loved that night… Todd and his band's performance was a masterclass of musicianship… plus that night I traveled down long lanes of memories that stretched back well into my youth…. Thank you Todd! Dissenting opinions. It's just like real life. I have never been a fan, as you know. Tod Rundgren simply has passed me by fully. I have found a live album from circa 1980 in my collection recently. A bit of a surprise as I had no recollection owning it. I must probably not even have played it fully, as I had forgotten all about it. One of these days I'll put it on the record player to judge in 2019. As a point of principle I don’t take photos at gigs if you are asked not to…. As a fellow musician I like to see an artist get as much (fair) remuneration as possible although I do understand that even that is usually a very small percentage of what the management/label/venue gets! Doesn’t stop me looking at photos/videos online though😉! I have no qualms about fans taking snaps so took a few with my mobile. We were up in the circle so Todd's face registered as a rather indeterminate small white blob but helpfully he had archive photos up on the screen so maybe you think one or two are usable. There should be 3 concert photos. Plus I attach Gary in front of the venue - the Eventim Apollo in west London and a fragment of my "then and now" archive: my ticket to see him at the same venue -then known more famously as the Hammersmith Odeon - also in the Circle in 1975 - together with last Saturday's ticket. Compare the prices! Back then I was a hard-up scrawny and starry-eyed (in more senses than one) first year student down from the wilds of Wales who had blown most of his taxpayers' grant on concerts and records. Fab fact: The Beatles played four concerts on that same stage in December 1965 during their last UK tour but alas I wasn't around in London for any of those. They also played there in 1963 and 1964.